It’s a staple in our house and my favorite goes-with-everything sauce. If I go more than a month without making it, something is out of alignment in the universe. On sweet potatoes – Check out this recipe for Sweet Potatoes, Crispy Chickpeas & Kale topped with this sauce, Mmmm mmmm! Do you have a tool to grate or zest? I have this grater-zester (also known as a microplane) and I LOVE it! 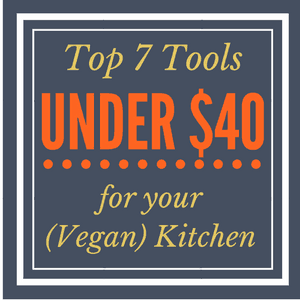 It’s the best tool for grating ginger, zesting lemons or shredding blocks of vegan cheese. It makes things super fast and easy, and is dishwasher safe. I also use this zester to zest orange peel in these No Bake Healthy Chocolate Orange Oatmeal Cookies. If you try this sauce, let me know in the comments below! What did you eat it with? I’d love to hear! 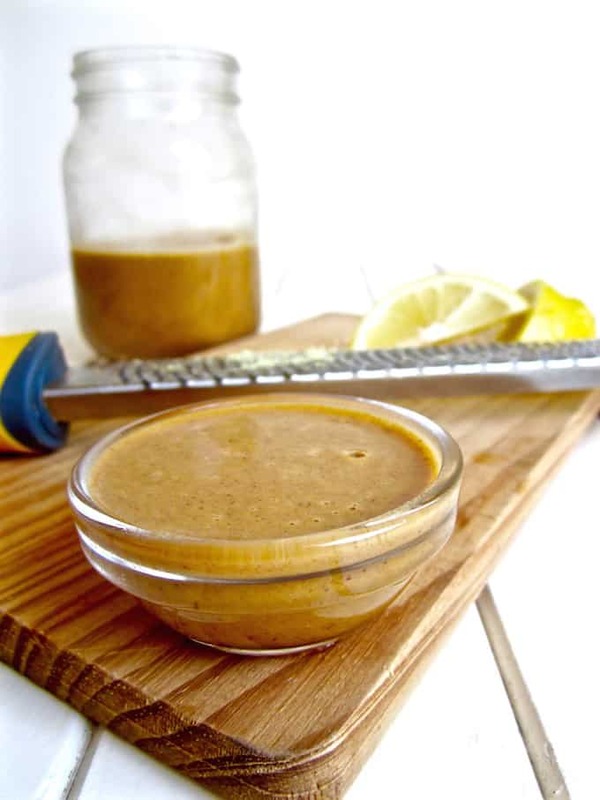 Delicious tahini garlic sauce or dressing - takes 10 minutes to make and is tasty on just about anything! Make ahead at least 20 minutes before using and store in the fridge to allow the flavors to combine and the sauce to thicken. Sauce will thicken as it sits. For thinner sauce or dressing, add some water a little at a time until you reach your desired consistency. 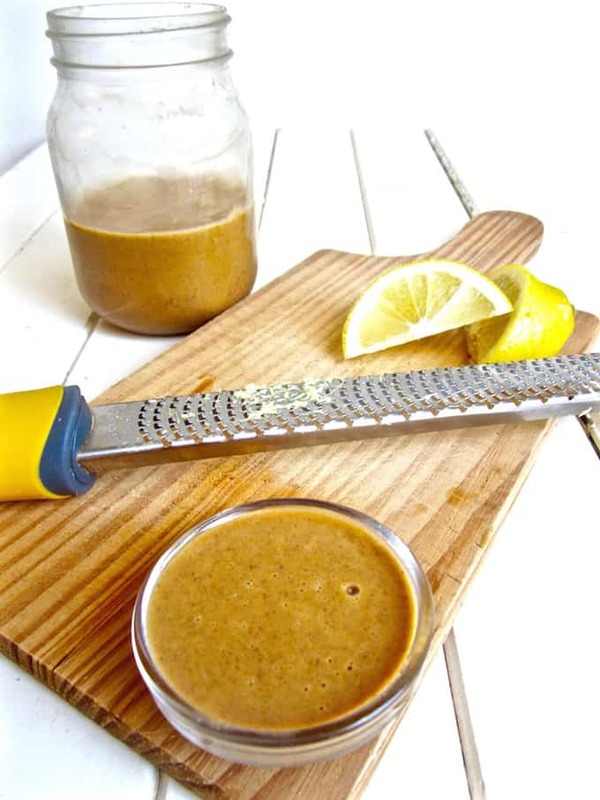 For the lemon juice and apple cider vinegar, you can use all lemon juice or all apple cider vinegar (therefore 2 Tbsp total of whichever you choose). 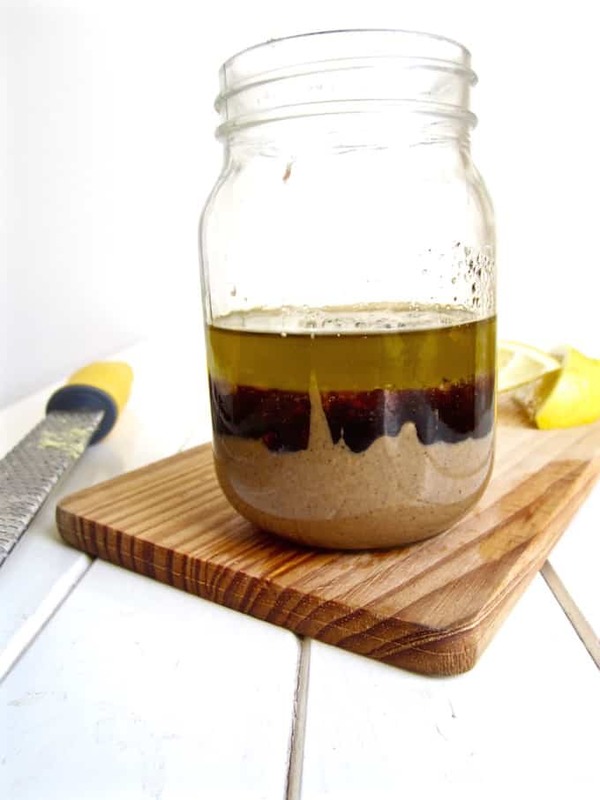 *For oil free - simply omit the oil and add more water if needed to reach your desired consistency. **For soy free - use coconut aminos or Bragg's Liquid Aminos instead of tamari. Thank you, Thank you for this recipe! I've been looking for something like this that is healthy and vegan forever. I'm going to make it tonight. Oh and, drink it proudly. I would to. I eat humus by the spoon full... kinda the same issue. LOL! Hahaha I love it!! :-) So happy you're as excited about this as me. Let us know how it turns out, Gina! This recipe is SO delicious. I just made it last night and now I want it on everything :) Question - how long does a batch of this keep in a jar in the fridge? I'm thinking of making a bulk batch but I'll pass if it spoils too quick. Yay! So happy you love it as much as I do, Kaylah. It lasts at least 5 days, I'd say most likely safe up to 7 days but am really not sure beyond that. Am curious too to know how long it will keep in the fridge. Thanks.